Companies are beginning to plan for the college recruiting season. They are developing schedules for campus visits, candidate interviews, and internships in the coming weeks. Competition for the best talent is going to be fierce. Interesting projects and better-than-average wages help convince the future college graduate to accept the job offer. There needs, however, to be a little bit more. The competition with other companies for the best turns into a horse race. The benefits package can give an employer a competitive edge. Providing benefits a person can use will seal the deal in many cases. New graduates can use a financial wellness plan. These young people are bright and are well educated. They face a serious financial challenge. 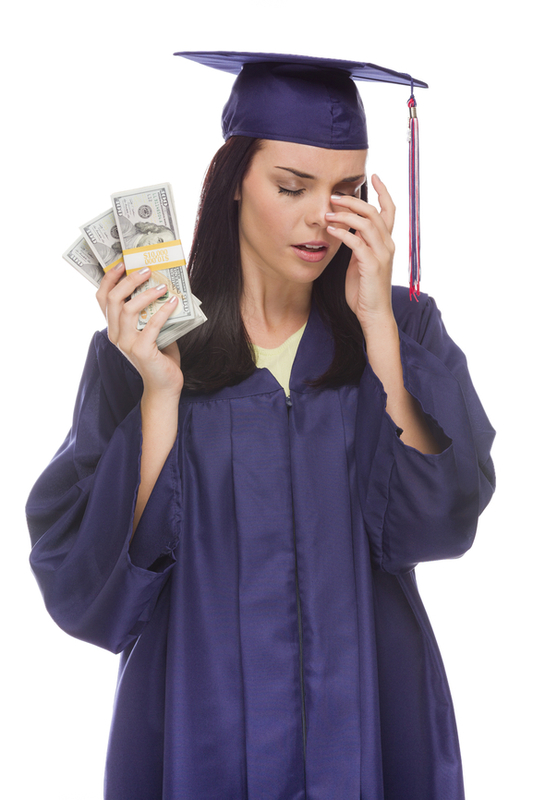 Many finance their college years with loans that must be repaid. Five and six-figure debt burdens weigh down on their shoulders. Countrywide Pre-Paid Legal Services has a financial wellness plan to take the weight off them. Acquiring academic knowledge got them into a financial mess and receiving practical knowledge will get them out. Countrywide has a nationwide network of certified counselors who are ready to help. These professionals deal with college debt problems with their other clients and understand how to fix the problem. A budget analysis is conducted which reveals ways in which money can be allocated to meet the loan repayments. Strategies may include reducing payments on credit cards or giving up certain hobbies. The counselors are also aware of the many ways a college debt is legally reduced. The counselor will go over all the various options with a plan member. A young employee may feel a little bit embarrassed by getting this kind of help. After all, this person is not a child and does not want to be treated like one. Countrywide counselors understand this. They conduct any face-to-face meeting with respect and courtesy. Our financial wellness experts are seeking solutions and not an opportunity to lecture anyone. We are proud to say that we have helped many people work their way out of what was once a financial calamity brought on by college loans. Employers can easily recognize the advantage of help with college debt. Increasingly more graduates are asking employers to provide them with the help to get out of trouble. In some cases, this includes outright grants of money. Countrywide provides a solution that is not going to be expensive at all for employer. The benefit is pre-paid, and the company can decide whether the employee pays for it or if the employer is going to handle the premiums. The benefit can turn into a major means of convincing college graduates to accept a job offer. We say this because we allow clients to shape their plan to their expectations and needs. It is possible to select those benefit options that will be most appealing to recent college graduates. A client can also add some options for other employees. Countrywide explains every benefit in our financial wellness package and gives an idea of how a particular option can help people. We let the client decide but we provide additional services such as a streamlined administration to add additional quality to the final plan. College recruiters are aware of how deep in debt some of the best graduate talent happened to be. These people know that if their company offers a good financial wellness plan, one that helps with the college debt, it is going to convince the cream of the crop to accept a job offer. It becomes an advantage in a tight competition which an employer should not ignore. You may have some questions about our program and exactly how it can assist employees with their financial situations. We encourage you to contact us at your earliest convenience and ask as many questions as you like. We want you to know more about what we offer and would welcome the opportunity to explain everything.